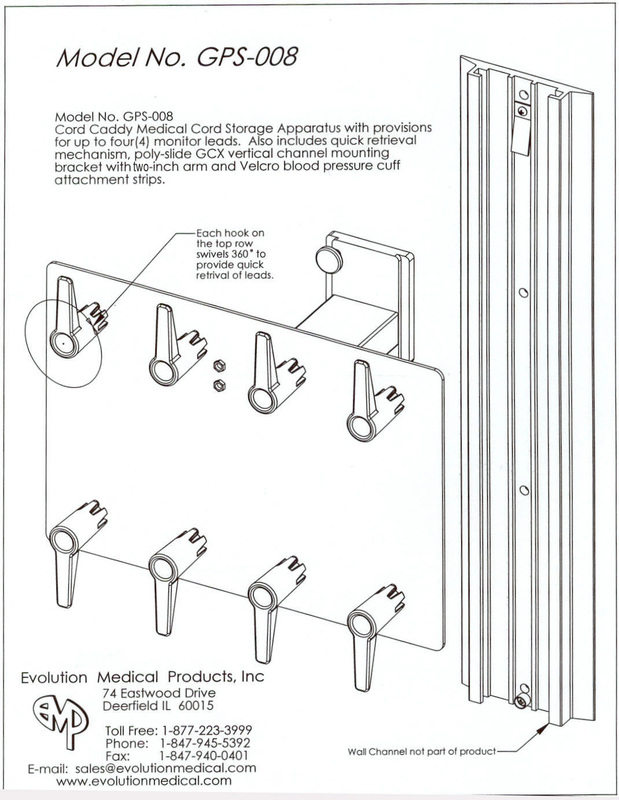 The GPM style Cord Caddy™ mounting configuration has provisions for up to six monitor leads. 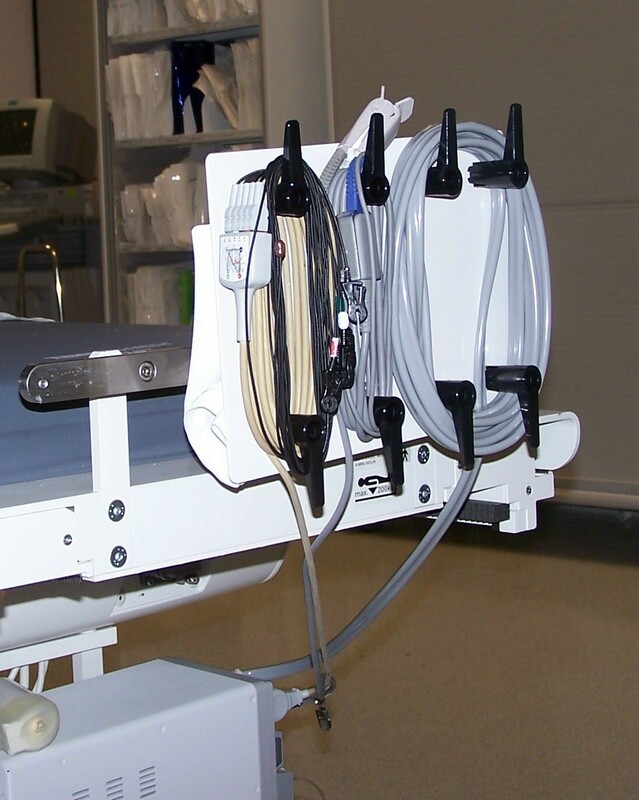 The Cord Caddy™ also includes a quick retrieval mechanism, a V-clamp mounting bracket for up to one and one quarter inch diameter pole, and Velcro blood pressure cuff attachment strips. 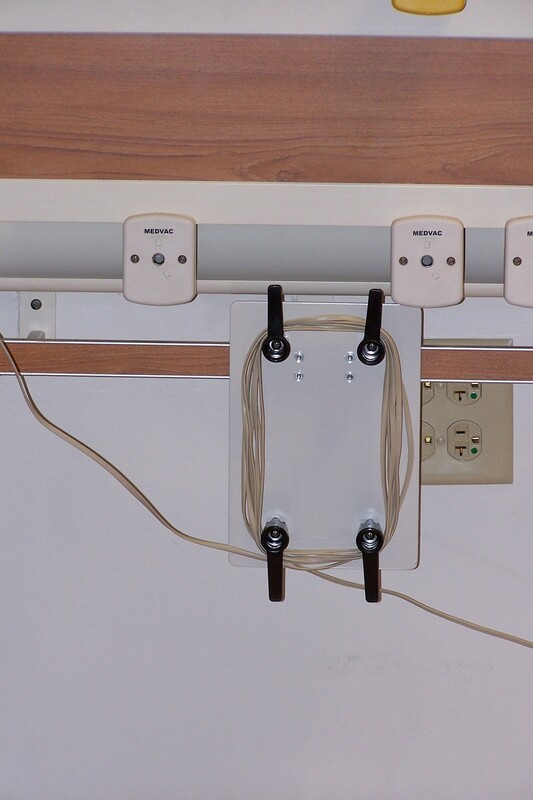 The GSO style Cord Caddy™ mounting configuration has provisions for up to six monitor leads. 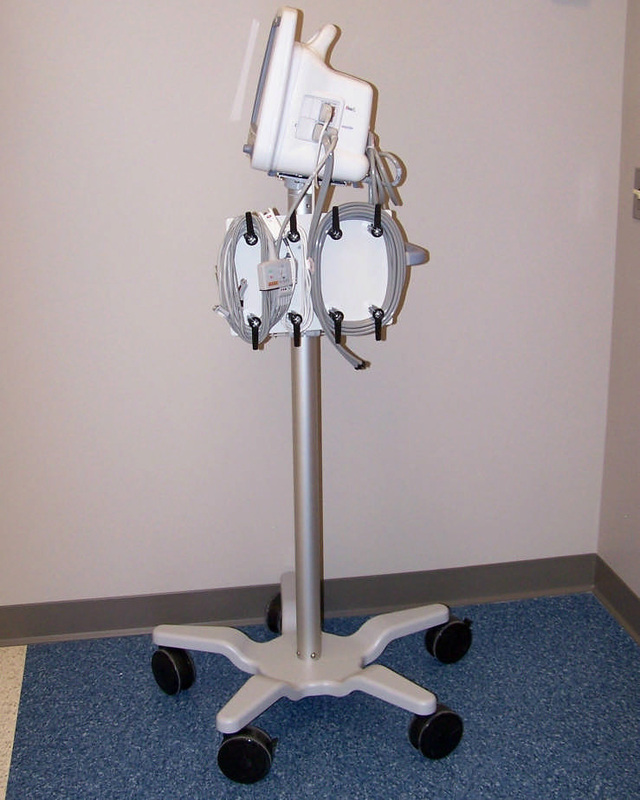 The Cord Caddy™ also includes a quick retrieval mechanism, a screw on dual position pivoting extension arm mounting bracket and Velcro blood pressure cuff attachments. 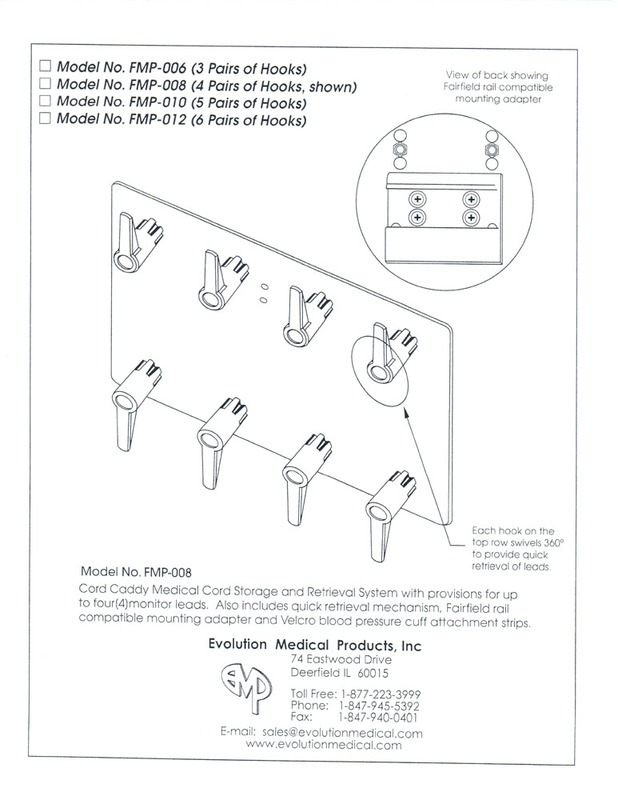 The FMP style Cord Caddy™ mounting configuration has provisions for up to six monitor leads. The Cord Caddy™ also includes a quick retrieval mechanism, a Fairfield rail compatible mounting adapter, and Velcro blood pressure cuff attachment strips. 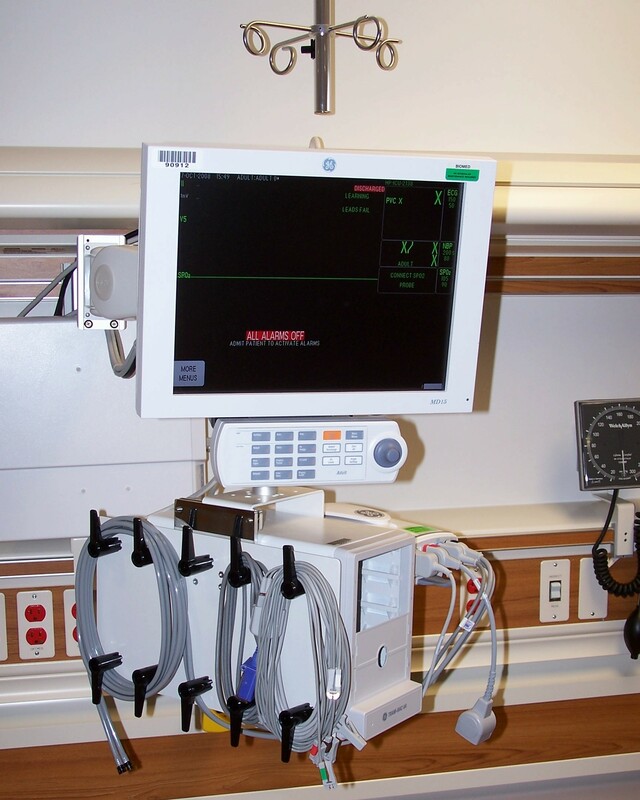 The EMR style Cord Caddy™ mounting configuration has provisions for up to six monitor leads. 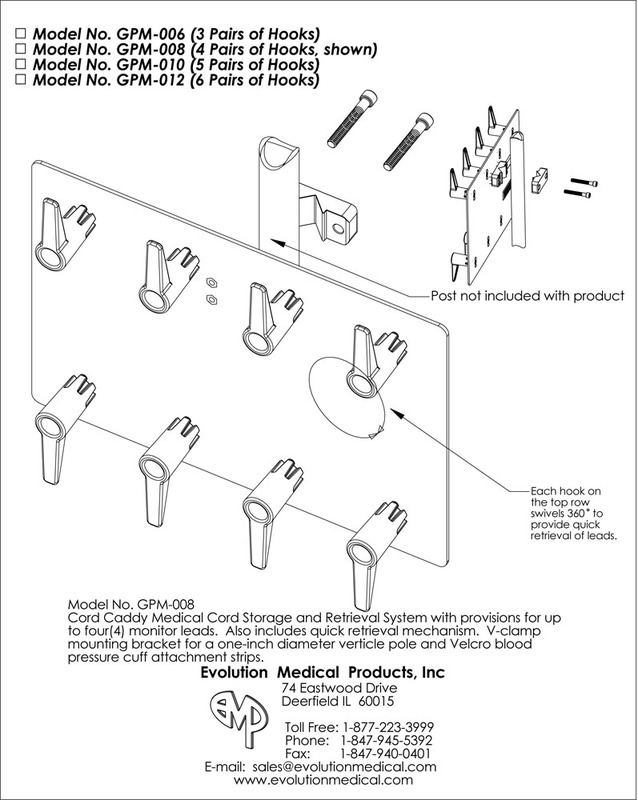 The Cord Caddy™ also includes a quick retrieval mechanism, an European (10x25mm) rail mounting adapter, and Velcro blood pressure cuff attachment strips. 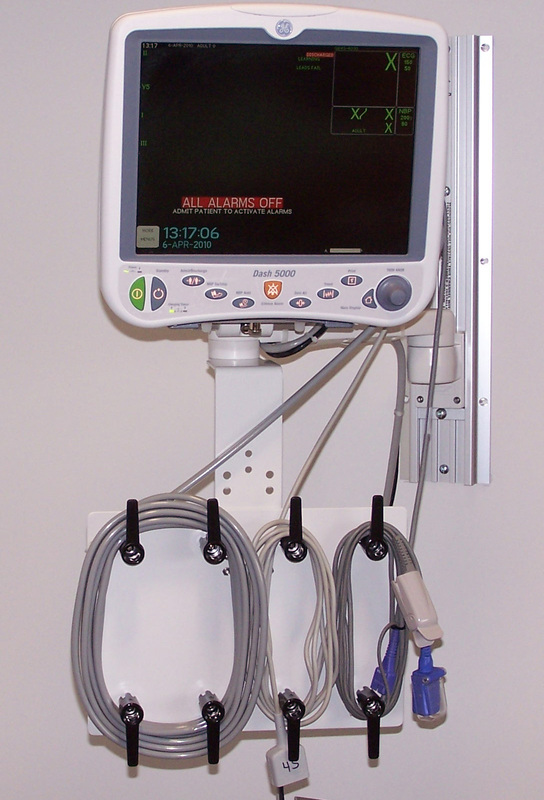 The GPS style Cord Caddy™ mounting configuration has provisions for up to six monitor leads. 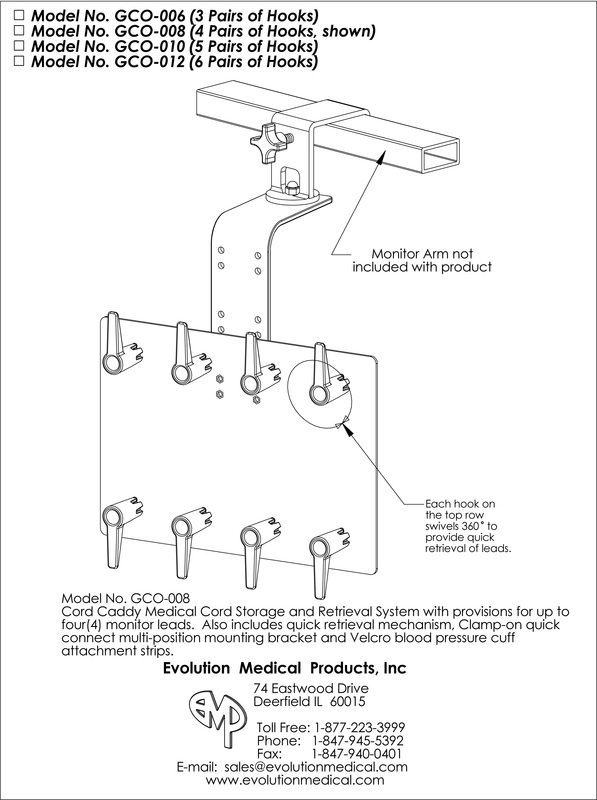 The Cord Caddy™ also includes a quick retrieval mechanism, a poly-slide GCX vertical channel mounting bracket with two inch arm, and Velcro blood pressure cuff attachment strips. 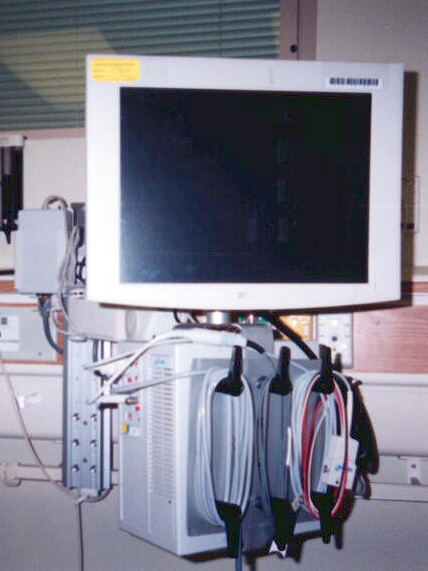 The TRI style Cord Caddy™ mounting configuration has provisions for up to six monitor leads. 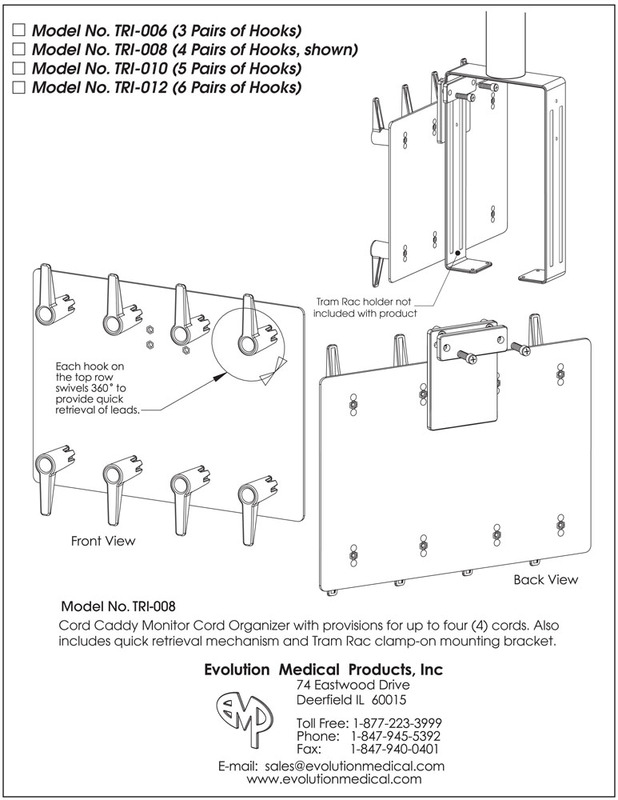 The Cord Caddy™ also includes a quick retrieval mechanism, a clamp on mounting bracket. 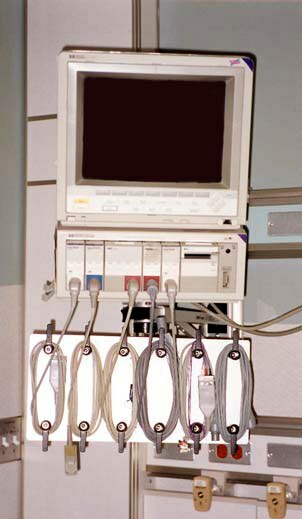 The GRS style Cord Caddy™ mounting configuration has provisions for up to six monitor leads. 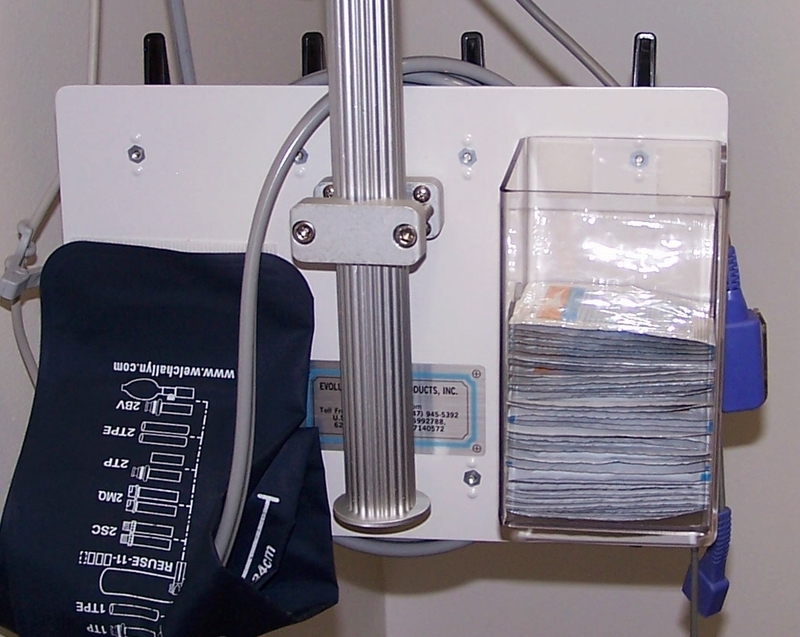 The Cord Caddy™ also includes a quick retrieval mechanism, a two inch diameter roll stand clamp on mounting bracket, and Velcro blood pressure cuff attachment strips. 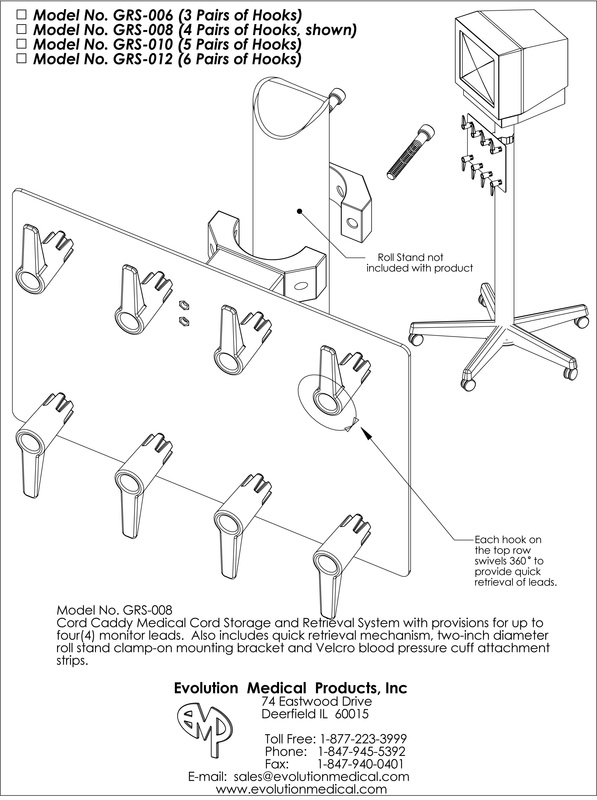 The GCO style Cord Caddy™ mounting configuration has provisions for up to six monitor leads. 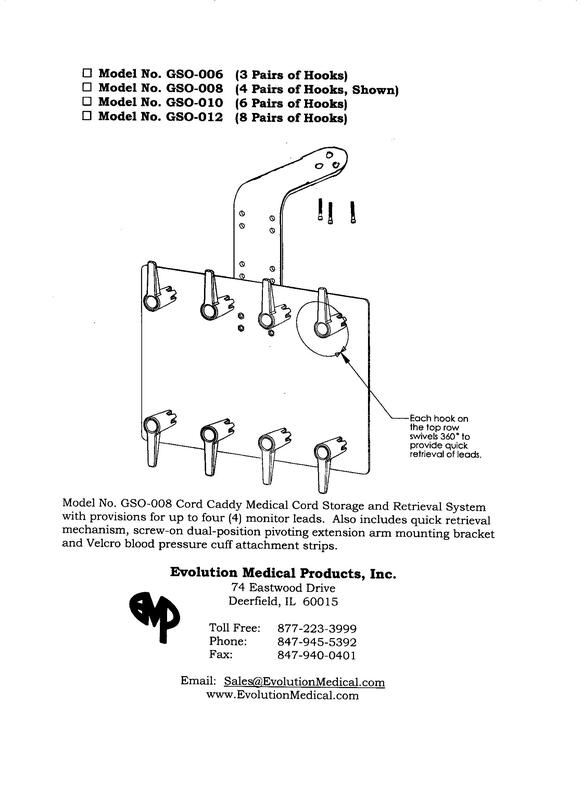 The Cord Caddy™ also includes a quick retrieval mechanism, a clamp on quick connect multi-position mounting bracket, and Velcro blood pressure cuff attachment strips. 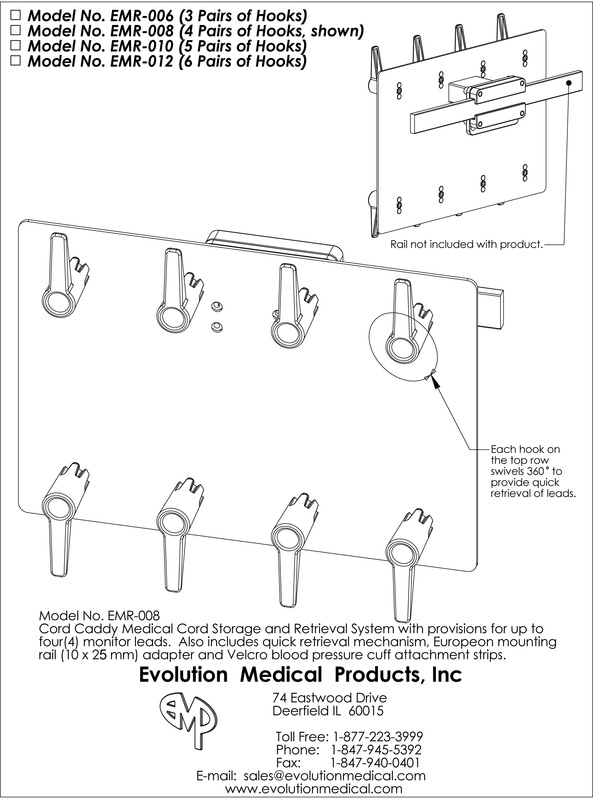 The EMP style Cord Caddy™ mounting configuration has provisions for up to six monitor leads. 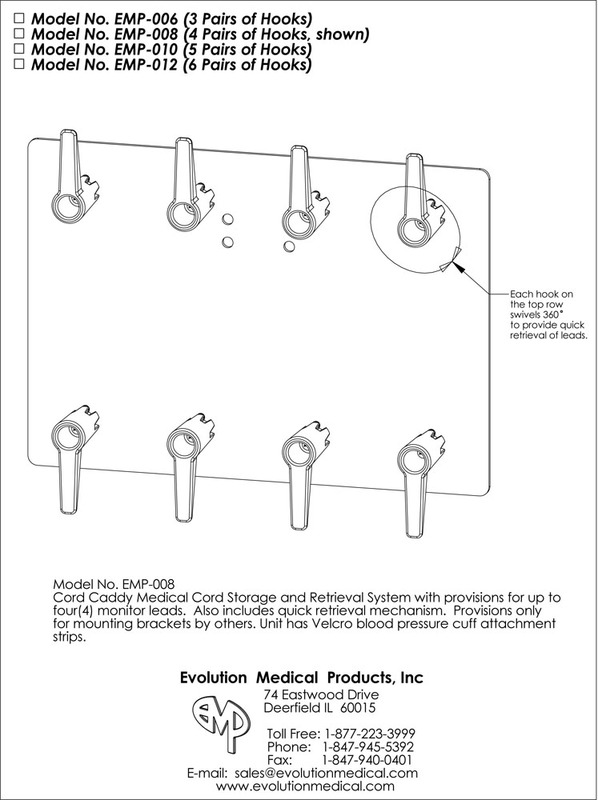 The Cord Caddy™ also includes a quick retrieval mechanism, provisions only for mounting brackets by others, and Velcro blood pressure cuff attachment strips.